Singapore's Quit Pro app has helped 130,000 smokers quit, know anyone else? It’s 3 weeks into the new year, half of your new year resolutions should have been broken by now. Curious to find out what are the top new year resolutions in Singapore, I went around around asking complete strangers what theirs were. 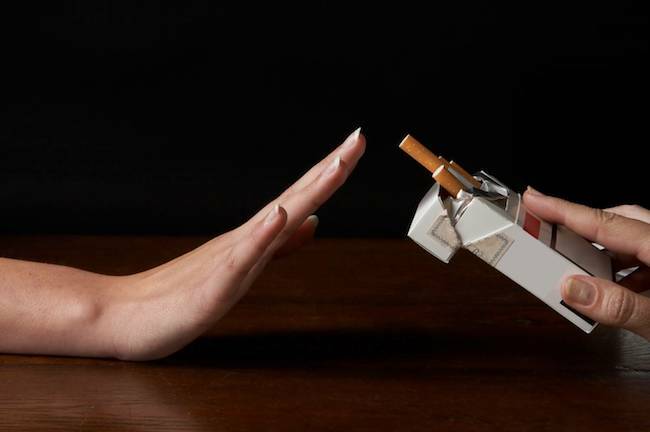 After talking to more than ten people outside clubs and bar smoking points, it was surprising to know that some of them actually want to quit smoking. Interestingly too, some of those interviewed also told me they have been trying for years. There must be something to help these people! Well, there is. QUIT PRO – a Singapore based mobile app by mobile apps factory Bitsmedia claimed to have helped 130,000 smokers quit since January 2013. 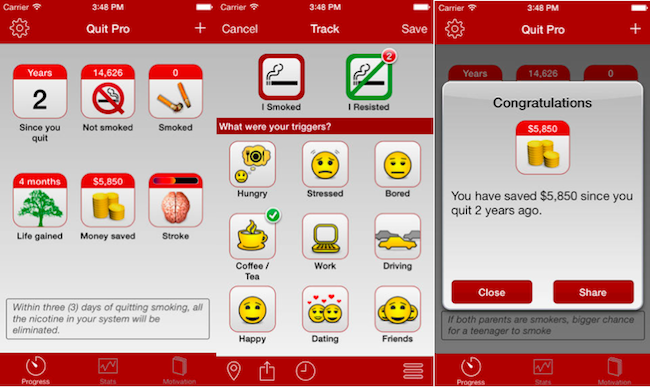 The app helps smokers quit by making it easy to track and tabulate information. It also allows you to track what triggers you to smoke, where you smoke, and what time you smoke the most. That makes sense considering that you can only improve on areas which you can track. Another main draw for the app is that once you launch it, the app immediately shows you the last time you had a puff, how much money you have saved and how much life you have gained. This greatly helps motivate a smoker to keep his non smoking streak. Besides you can also share your progress with a friend who is helping you to quit. According to an actual user, “the app does help smokers quit, but only if they are either motivated or disciplined enough to launch the app and record it down“. At the end of the day, only the smokers can motivate themselves to actually quit. If you have another habit you want to change, here are some guidelines you can check out to set your resolutions this year.